Modern families come in all shapes and sizes and when an unusual situation presents itself, Hong Kong visa opportunities need to be shaped and mould to fit. Here is an interesting scenario that has played itself out over the last 12 months and sheds some fascinating light on how to make round immigration pegs fit in square visa holes…..
“Basically I have been living and working in HK for the past 2 years and I am looking to relocate my girlfriend here over the summer. She is currently based in Canada and she has a 3 year old daughter from a previous relationship. We have been looking at kindergarten/schooling options and the ones that I have spoken to state that they can’t enrol a child unless they have a HK visa (not tourist). So I can see two potential options, my girlfriend gets work here and applies for a dependent’s visa for her daughter OR I can somehow arrange for her daughter to be a dependent on my visa (I have a full working/employment visa). There is no possibility of securing a dependant visa for your girlfriend’s daughter unless there is a legal guardianship in place (which presents its own challenges as I’m sure you’re aware – you’d have to talk to both a Canadian and a HK family lawyer for specific advice on this question – and I’m not convinced the HKID would not look at this as merely a visa manoeuvre, which of course it is, thus getting them offside from the outset). 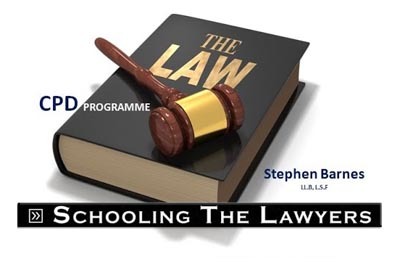 If you can demonstrate that you and your girlfriend/her daughter have previously cohabited you have the possibility of securing prolonged visitor visas for both of them under your sponsorship (getting them ‘resident’ in HK with you as a starting premise) and then seek separate dispensation for the child to take up study. The HKID are reasonably flexible in these situations (but a prior cohabitation is essential to get out of the starting gate for a prolonged visitor visa). My best advice in these circumstances would be to bring them to Hong Kong, have them live with you for several months in HK as visitors (assuming they are both Canadian citizens you should be able to secure a total of 6-9 months stay under the visitor visa category with a couple of family trips abroad in that time) then apply for prolonged visitor visas on the strength of your six-nine months cohabitation and proof of a prior lengthy relationship, seeking separate dispensation for your daughter to enter into education as part of the same applications. This assumes, of course, that your girlfriend has not yet secured an employment visa in her own right thereby affording the dependant visa option independent of her immigration connection to you. 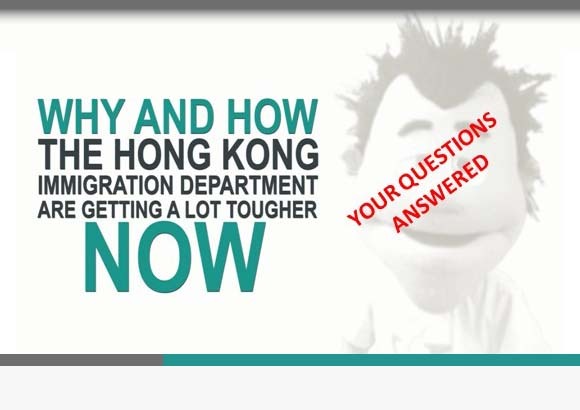 If she has a spare 10m HKD to lock into HK equities until such a time as she can secure an employment visa, she could apply for a Capital Investment Entrant Scheme visa which will solve all her problems at a stroke (but she must have beneficially owned these funds for two years immediately preceding the application. Otherwise she could make an application under the Quality Migrants Admission Scheme – but she would have to be exceptionally talented/qualified for this visa class and approvals are generally hard to come by. One other thing to bear in mind is that the HKID will definitely require the consent of the child’s father, if he is still a legal part of her life, for your girlfriend to bring her to Hong Kong. The nature of the documentation required from the HKID will depend on the nature of the ongoing parental responsibility which the father carries for the child (if any). Those are you options in a nutshell. You’ll no doubt get what you need from the HKID, eventually, but you may have to take a bit of a detour and delay your plans for the start of your daughter’ss education in your round pegs in square holes situation. I’ve seen these types of scenarios many times before and we have always been able to finagle an acceptable outcome. For more details on the visa options in play for you please check out the detailed advice on the Hong Kong Visa Handbook . “I emailed you around about this time last year with regards to relocating my girlfriend and daughter over to HK. They arrived in May 2011 and we got off to a good start as my girlfriend managed to get a job fairly quickly, thus securing her own employment visa and dependent visa for her daughter who is currently going to a school in Sha Tin. Their visas run out in May 2012 and the problem is my girlfriend will not be getting her visa renewed as she is pregnant, due at the end of June and will stop working in the short-term. Therefore the dependent visa will also run out and we are back to square one. Would an application for a dependent visa be possible for both of them based on the grounds that we have been in a long term relationship (4+ years), have been living together for the last 10 months in HK (my partner and I have a joint rental agreement and joint bank accounts) and I have been supporting them financially since they arrived? Or would it make more sense to apply for extended visitor visas once their current visas have run out and write separately to allow her daughter to continue being educated in HK? The priority is to make sure her daughter is deemed eligible to continue to be educated in HK. There is no possibility of securing a dependant visa for your partner nor her daughter (as you are not legally married), but ironically, after the baby arrives you will be able to secure a dependant visa for your new born assuming your name appears on the birth certificate. 1 – Your partner will have to secure a prolonged visitor visa sponsored by you as a defacto spouse. 2 – Your informally adopted daughter may also have to have a prolonged visitor visa sponsored by you with dispensation to study or secure a student visa in her own right (it depends on what the HKID want to do in these circumstances – they would ultimately decide the status they believe he should have as she is still so young). I suspect the HKID would want to have proof that the biological father, assuming he still plays a role in her life, has no objection to the continuing immigration arrangements in Hong Kong. In pursuing this tack, you will have to make the case that your relationship does in fact go back a long way, even prior to their arrival in Hong Kong, and that for the last 10 months you have all been living together as a family. If your partner does intend to return to the workforce, you could make the argument that the prolonged visitor visa is just an interim measure until the confinement/maternity leave period is over whereupon she will once more secure an employment visa in her right and return your daughter to dependant visa status once more. This may make the HKID a little easier on you from a documentation perspective if they know that they only have to anticipate a one-time only issue of prolonged visitor visas lasting just 6 months. I would also make the applications sooner rather than later, certainly as soon as she stops working. I’m not surprised you can’t find information on this scenario on our website. It’s not the everyday situation that we come across! With the right applications and a lot of patience with the process you will get an acceptable outcome, of that I’m certain.